Being born with a sweet tooth and Japanese blood, my desire for dessert-style sushi is practically written into my DNA. 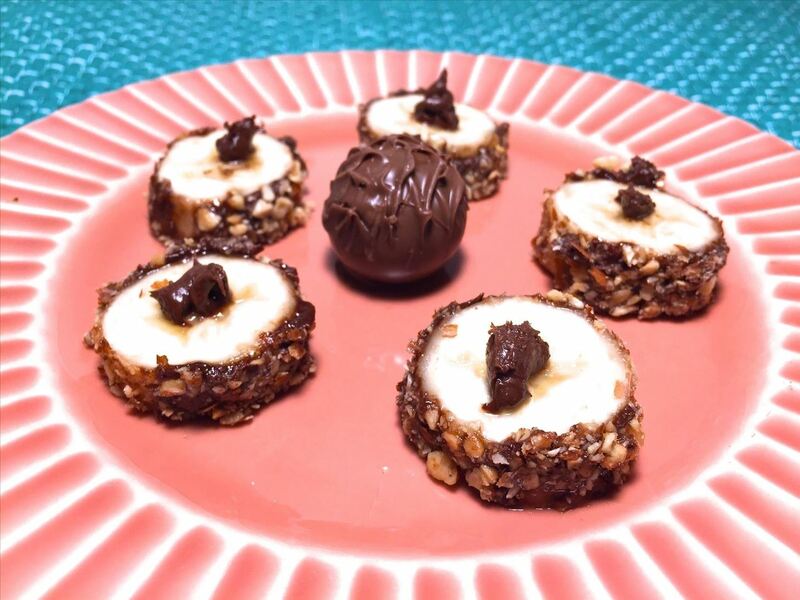 At once delicious and adorable, these one-bite delights are the perfect way to conclude a meal. They're also a killer snack. 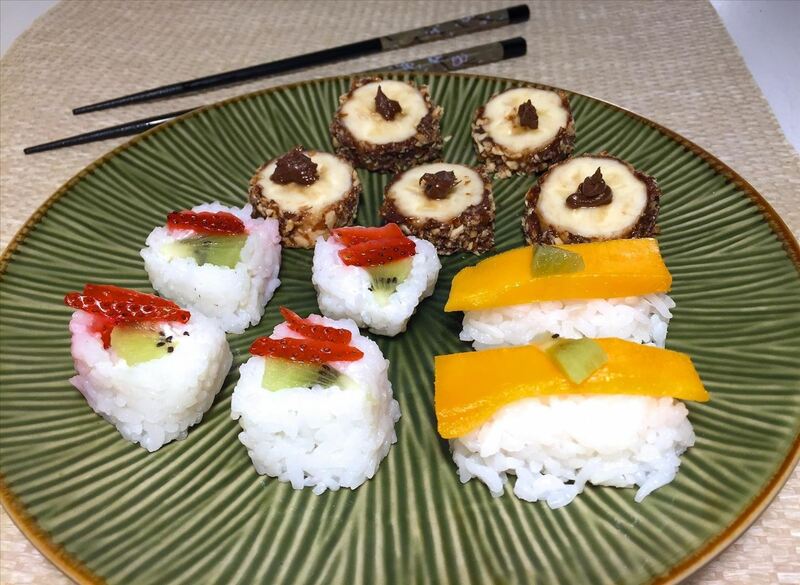 Featured below are: 1) the Banana Nutella Nut Roll; 2) the Strawberry Kiwi Roll; 3) Mango and Sweet Rice Nigiri. The BuzzFeed video below is a great guide for creating this Chunky Monkey-style sushi. In my own version, I refrigerate the banana once it is covered in the Nutella and nuts. This makes the Nutella coating harden and easier to cut. I also used finely chopped almonds and cut the banana bites into thinner rounds for a slightly more delicate effect. There's no denying that strawberry and kiwi are basically the Sonny and Cher of the produce aisle. You see them together in smoothies, ice cream, Capri Sun flavors, and now (at last)... sushi. Line the sushi mat with plastic wrap. Next, spread the rice in a thin layer over the sushi mat (the thickness of the rice layer should be roughly 1/8 of an inch). In a thin row, arrange the macerated strawberries and kiwi. Evenly distribute the cream cheese over the fruit. Carefully roll the rice around the filling, and then cut the roll into sections. 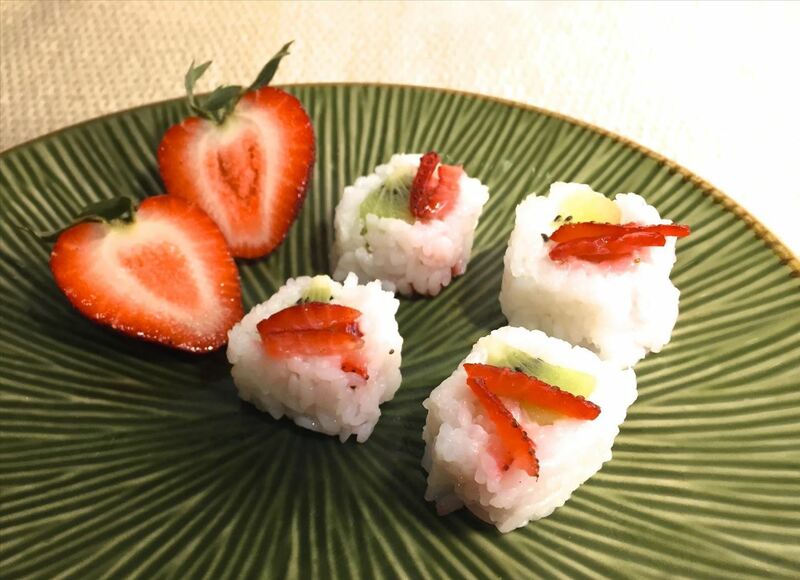 If desired, garnish with pieces of macerated strawberry. While I normally enjoy dipping my sushi in soy sauce, that flavor combo is NOT going to fly here. 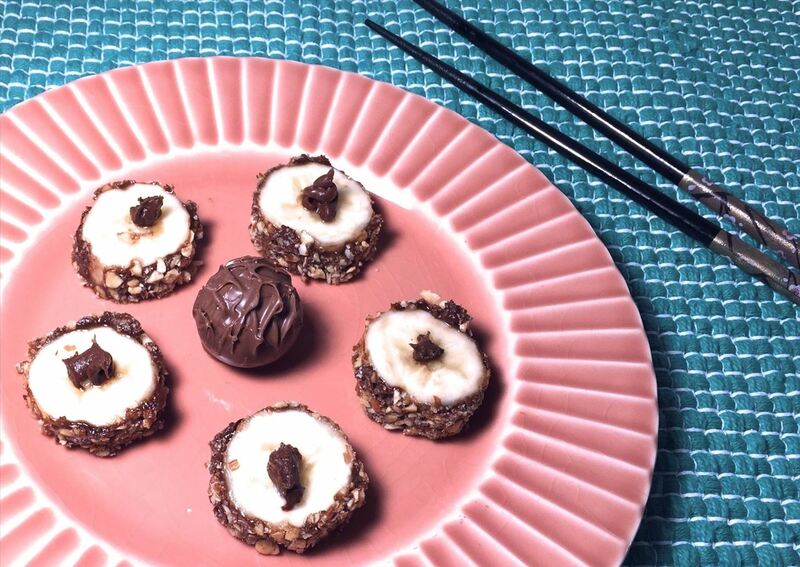 In lieu of soy sauce, try out some melted chocolate for an extra touch of decadence. Have you ever had mango and sweet sticky rice before? If not, go to your nearest Thai restaurant. If they're in it to win it, they should have this item on the dessert menu. 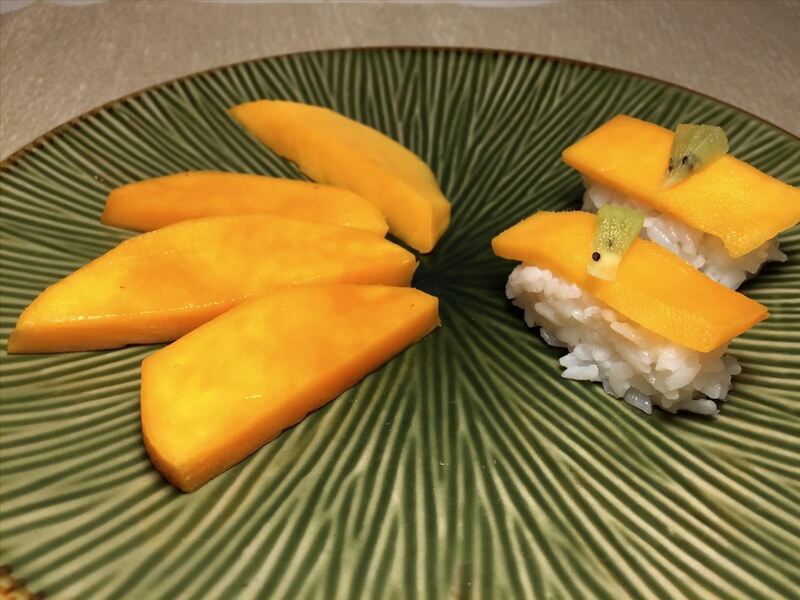 As you might have inferred already, the combination of mango and sweet rice is actually brought to us by Thai cuisine, rather than Japanese tradition. Hence, this recipe calls for a little cross-pollination. If you're in the mood for some pan-Asian adventure, get the following ingredients ready and we'll get started! Mango, sliced very thinly into rectangles. Mix together the sticky rice and the condensed milk. Form the rice into rectangles. If you stack your index fingers on top of each other, measuring fingertip to knuckle, that's about how big your rectangles should be. Keep in mind that I am a lady, so if you have large man hands, use your pinkies as a gauge instead. Cut the mango into thin slices to fit over the rectangles. Ta da! You have created sweet mango and sweet rice nigiri.